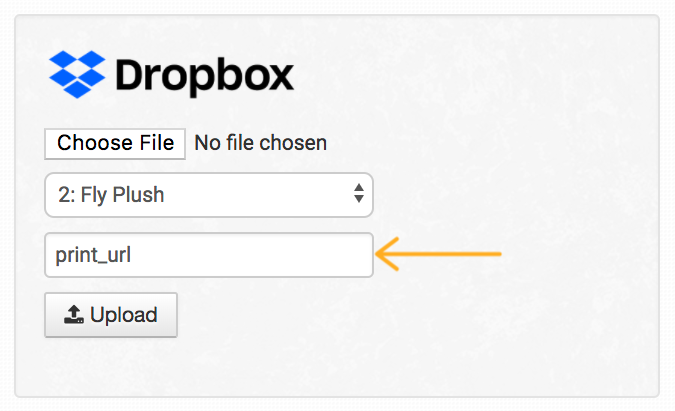 You can upload files to Dropbox right from within Order Desk. With the Dropbox integration, upload a file that you want attached to an order or to an item in an order, and Order Desk will send the file to Dropbox for you and place the shareable link for the file in your order. This guide covers the integration setup, settings and how to upload files to Order Desk. Once connected, you'll see three settings: Upload Path, Checkout Data Field and Item Metadata Field. 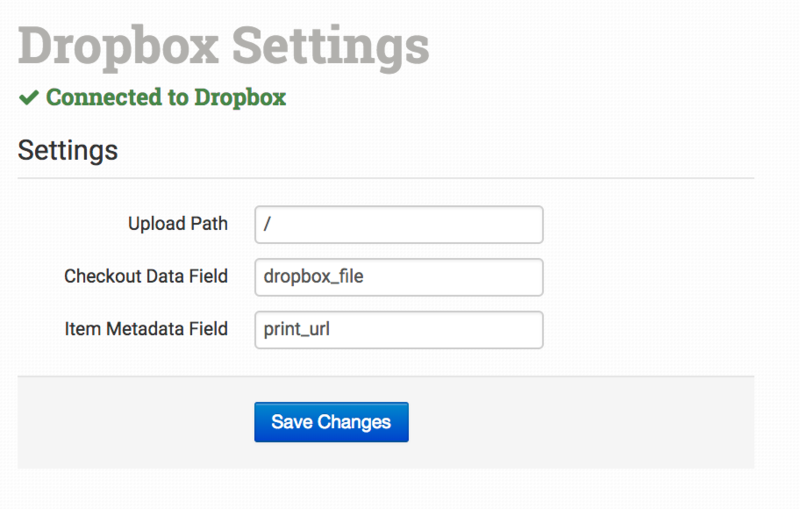 Upload Path is the folder in Dropbox where files will be stored when sent from Order Desk. Name this folder anything you want, but it might make sense to call it Order Desk Files, or something that will let you know in Dropbox that the files in that folder were sent from Order Desk. This can be changed manually in the order before uploading a file if you need to use a different checkout data field name than your default set here. 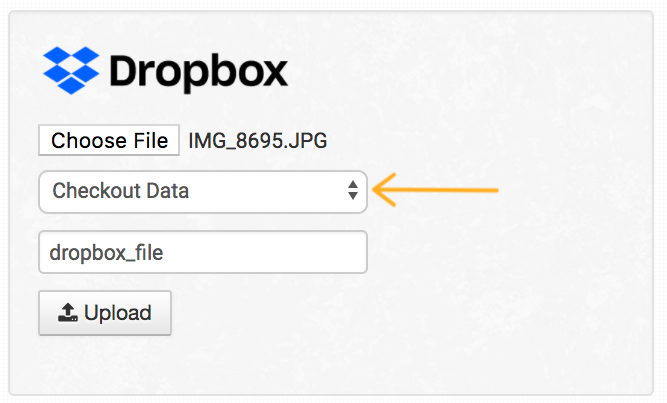 Set the name of the item metadata field you want your Dropbox file link to be called. If you are adding a thumbnail or other image of your product, set it to "image". If you have a print on demand store and need to add your print_url's this way, keep it set it to "print_url". Otherwise, this field can be named whatever you want to name it. This can be changed manually in the order before uploading a file. To upload a file, click Choose File and select the file you want to add to your order. 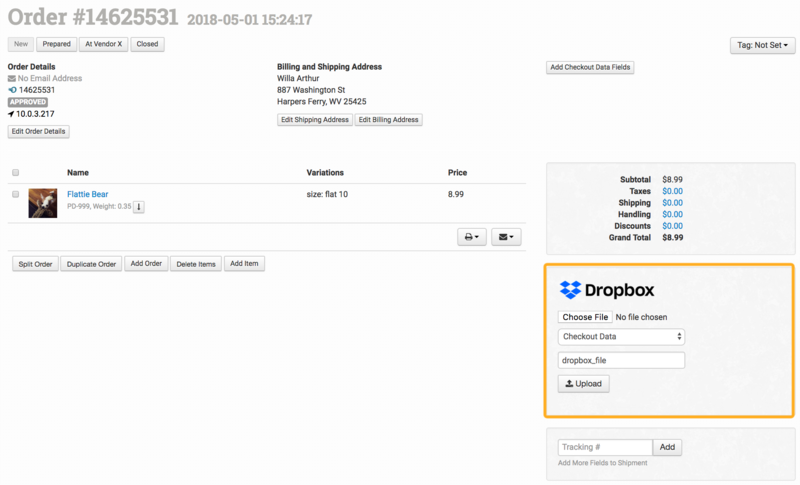 Click Upload and your file will be sent to Dropbox, and a shareable link will be created and saved to your order either as checkout data or item metadata.